Is your child a budding artist? It may be too early to find out for some moms but it is never impossible to find an art genius even in a small child. 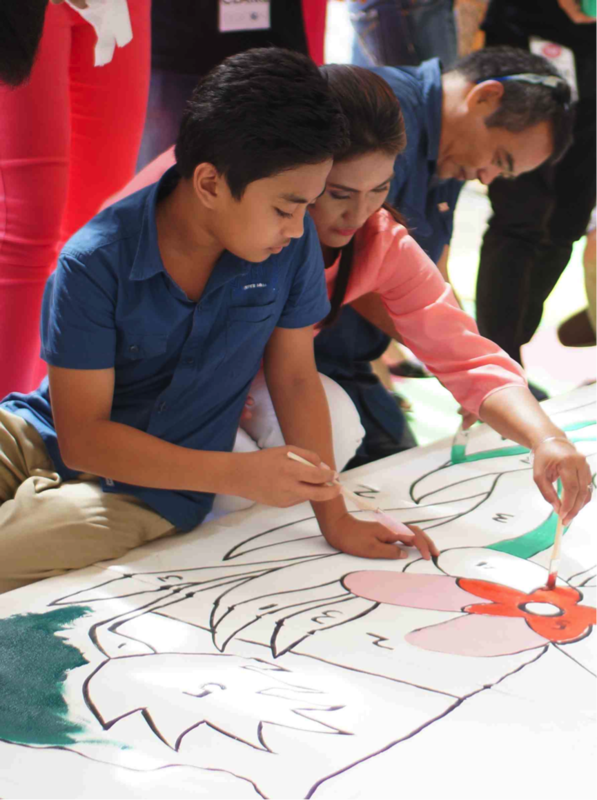 Such is the case of Hamzah Marbella who, at 12 years old, is the youngest member of the Artists Association of the Philippines and was recently named, Promil Pre-School's Outstanding Child Artist. His dad, Renato, who is also an artist, recalled how Hamzah would watch him paint even when he was still a baby. Hamzah's mom, Elma, remembers her son's first canvas, a magic slate. Eventually, he would draw with crayons on sketchpads. Both parents nurtured Hamzah's gift by providing everything he needs, both in terms of materials and nutrition. Hamzah Marbella with his mom, Elma, and dad, Renato. Aside from providing Hamzah with tools for developing his art skills, Elma and Renato Marbella also made sure that he's getting the right nutrition from drinking Promil Pre-School. Promil Pre-school is a powdered mild drink for children 4-7 years old designed to help them achieve optimal growth and development. It contains a unique combination of essential nutrients that form Promil Pre-school's Nutrissentials. Plus it has DHA, an important nutrient for cognitive and eye development, and AA which helps the body absorb DHA better. 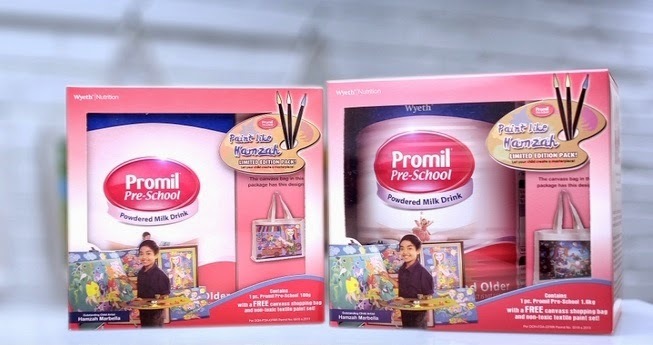 For every purchase of Promil Pre-school 1.6kg and 180g packs, mothers will be equipped with tools to help their child develop their talent in art. From February 1 to March 31, 2014, every purchase of Promil Pre-school 1.6 kg and 180g packs include art materials and limited edition canvas bags inspired by Hamzah Marbella's artworks so be sure not to miss this chance. For more information, visit www.fb.com/PromilPreschool.